In the high-tech world, the term Enterprise Application Software (EAS) is not left unheard. In general, enterprise application software is a large scale software that is built with an objective to support and solve the problems of the organization and to make the whole process seamless. It is a large scale software that involves different users and their specific actions. The enterprise software solution tends to add more security, features, and interconnectivity than other software use for performing similar functions. 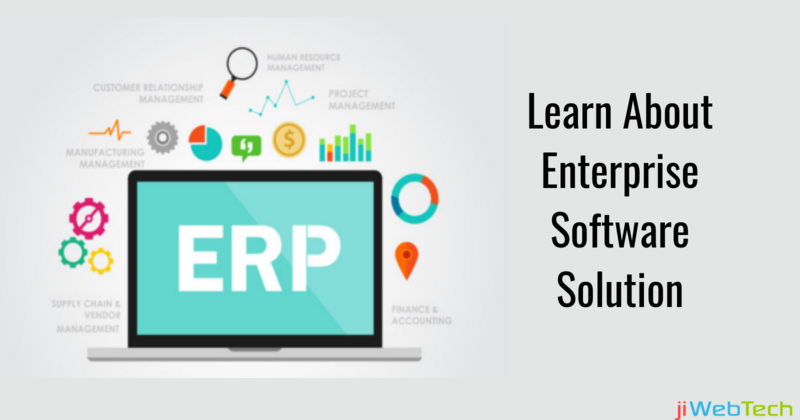 The enterprise software solution helps in order processing, procurement, scheduling, customer information management, energy management, accounting etc. All the above features and many more characteristics make Enterprise software solution different from other software solution like the Software as a Solution (SaaS). Here we have discussed some of the common differences between the two common types of software opted by the businesses. Customizability: The primary benefit of the enterprise software solution is its ability to customize. This helps the businesses to tailor the software as per their need. On the other hand, SaaS software offers limited customization and hence do not offer pure customization. Querying and Reporting: It is challenging to create queries and reporting using SaaS. This is because SaaS offerings are multi-tenant that make it difficult to scan the entire databases for data. This limit the use of SaaS to create querying and reporting. While in an enterprise setting querying and reporting is done with third party tool using ODBC thus meeting the desired need. Functionality: Since SaaS has limited customizable feature, therefore it has restricted functionalities. Enterprise Solution due to high customization addresses all the functional needs. Price/Cash Flow: Enterprise pricing follow the model as software licensing, software maintenance, and customization while SaaS follows monthly fee and services. Thus the initial cost of purchasing SaaS software is lower than enterprise software solution but with time the cost of SaaS software will converge. After comparing the features of the two software the choice depends on the user. The best and overall success of the business is defined by the combination of EAS and SaaS. But when thinking of choosing one then it is good to opt for an enterprise software solution as it offers more features and customization of software.